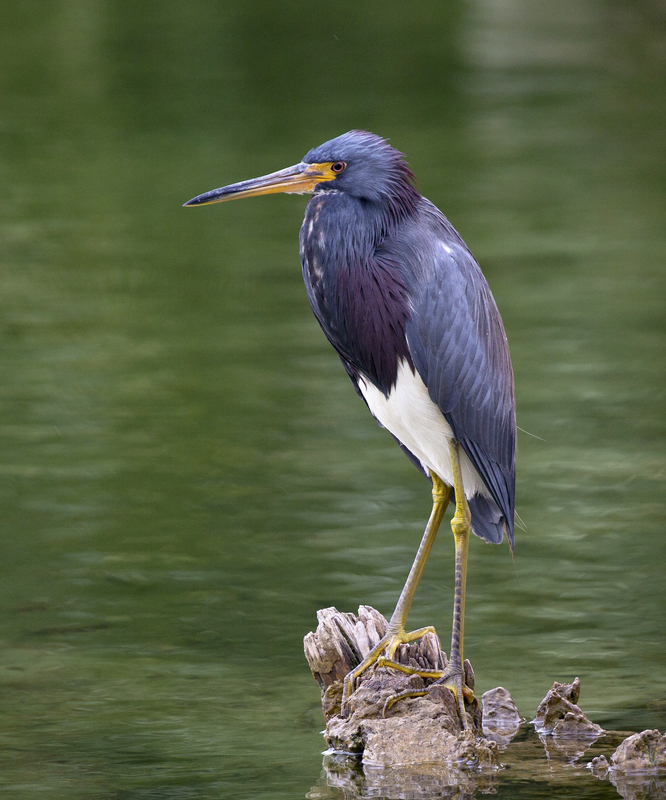 Tricolor Heron at Pond, Winegar Backyard in Spring (May), Palm Bay, Florida. Great shot and beautiful bird. Thanks for sharing! We enjoy seeing him. So colorful!